Top Grain Leather with waxing and oiling finish, luxury looking and feel. 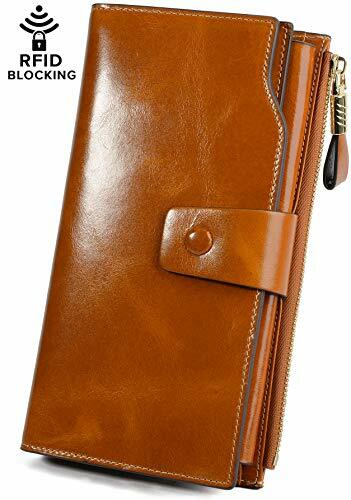 Shiny gold-color hardware,heavy duty zipper and detailed contrast stitching brightens up the wallet. FIT IPHONE7. 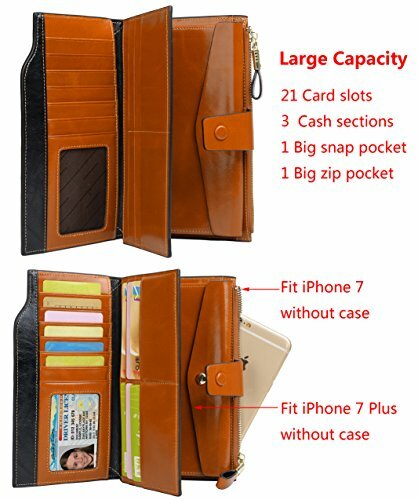 Large capacity due to its 21 card slots, including a photo slot. 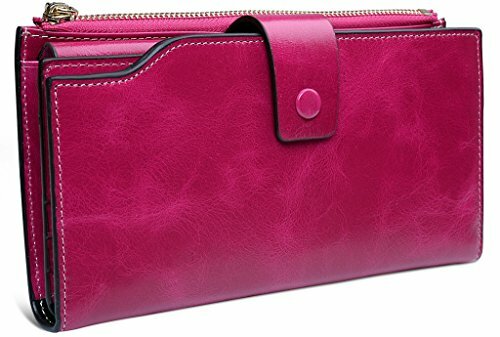 4 full-length compartments and a zippered pocket. 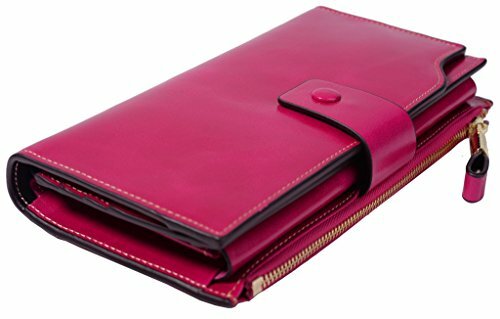 Multi-storey fold is designed for you to keep your things oraganized well and easy to use.RFID Blocking. 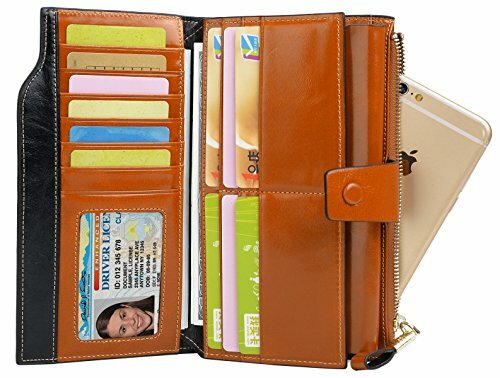 Dimensions: 7.32"L x 4.05"W x 1.1"H . The Weight is 0.40 pounds.